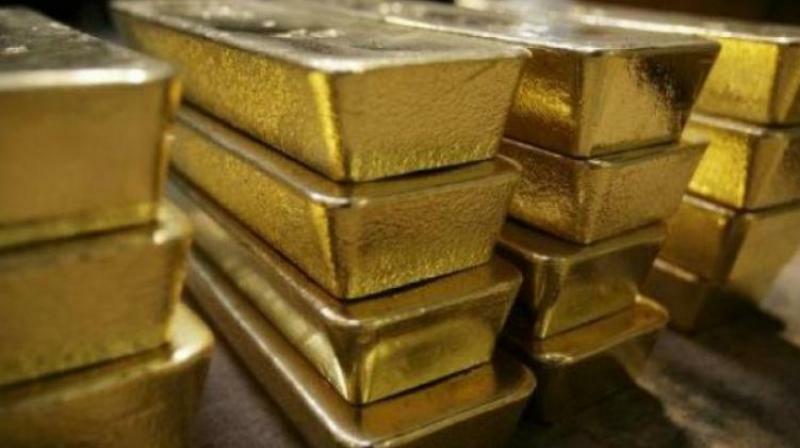 New Delhi: Snapping the four-day losing streak, gold prices on Tuesday surged by Rs 170 to Rs 32,790 per 10 gram in the national capital on increased buying from local jewellers, according to the All India Sarafa Association. Spot gold was trading lower at USD 1,284.20 an ounce, while silver stood steady at USD 15.01 an ounce in New York. In the last four trading sessions, gold prices have declined by Rs 450. In the national capital, gold of 99.9 per cent and 99.5 per cent purities gained by Rs 170 each to Rs 32,790 and Rs 32,620 per 10 gram, respectively. However, sovereign gold held steady at Rs 26,400 per piece of eight gram. Silver ready advanced by Rs 250 to Rs 38,350 per kg, while weekly-based delivery rose Rs 334 to Rs 37,322 per kg. On the other hand, silver coins held flat at Rs 80,000 for buying and Rs 81,000 for selling of 100 pieces.